Taylor Swift said it best, "The haters gonna hate, hate, hate, hate, hate." Do expect anything else from Auburn's poster boy, Charles Barkley? Like some sort of bad Muhammad Ali impression, big mouth Barkley acts like he wants him some Bama. He even has the shirt to prove his naivete. It reads "We Want Bama." I have one retort for Sir Charles... No, you don't! 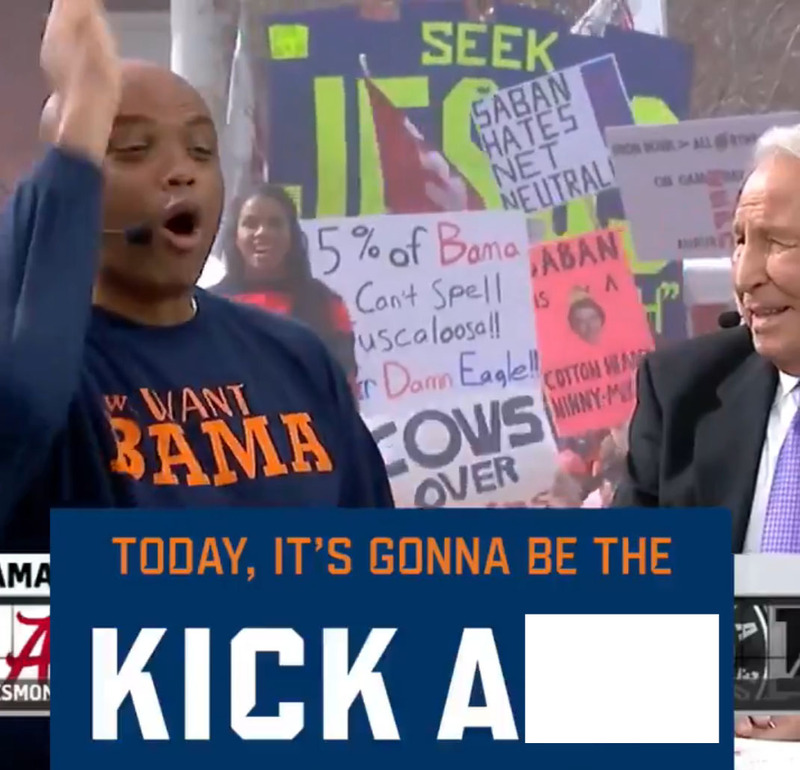 What's more, Sir Charles went a step further and said that Auburn was going to kick our a--es at Jordan Hare. See video below. This is why I think he is wrong. Bama is healthier than two weeks ago in the struggle win at Mississippi State, all the marbles are on the line for the SEC West, and Saban has pulled out all the stops. You can rest assured that Saban has the Crimson Tide at full throttle. They are ready for all the cutesy Gus Malzahn tricks and Saban may even pull out a few himself much like he did on the on-side kick in the first Clemson national championship game. I think this will be a closer game than most Bama fans would like, but Bama will prevail. My prediction, Bama 28 Auburn 27. Jalen Hurts will be the difference.